As of the 15th of February, the beauty world has been going crazy over the Real Technique brushes by Youtube sensation Samantha Chapman (AKA one half of Pixiwoo). If you follow us on Twitter, you’ll know that I’ve been trying to get my hands on them for ages and to find out when they were on available in my local Boots store. After many trips to Boots I finally managed to get a hold of the Core Collection and I couldn’t be happier! This set of four brushes contains a contour brush, a foundation brush, a detailer brush and a buffing brush, along with a handy travel case to take your brushes on the go with you! For £12.99 this brush set is amazing value for money and the quality of the brushes is far higher than I expected them to be. The brushes are smaller than I imagined them to be but still very effective. 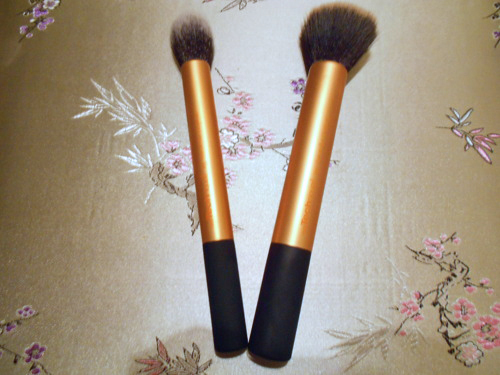 They’re also extremely soft for synthetic brushes compared to the Topshop brushes I’m currently using. The rubber ended handles are great to get a grip on when using the brushes and are very light and easy to use. 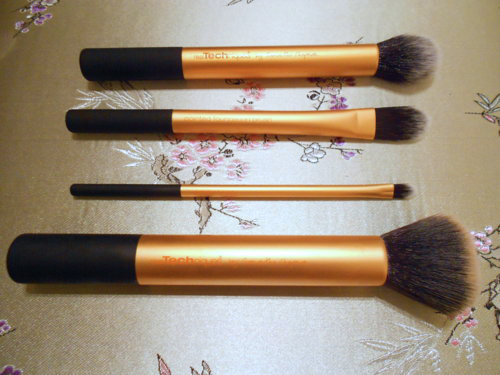 The main winner of this set for me is the Buffing Brush, which is the main reason why I bought the set. I use this to apply my liquid foundation (Clinique Anti-Blemish Solutions if you’re wondering!) and it made my foundation apply beautifully with no streaks or harsh lines. I’m so impressed with the coverage that I’ve thrown out all of my make up sponges and won't use anything else so that’s saying something! If you’re from the UK, I’d definitely head down to Boots asap and get a hold of this set if you can, I expect that they’ll be selling like crazy. When I visited the Buchanan Galleries boots store there was only about 2 sets left! They’re available in America on the Realtechniques.com store too. I haven’t tried any of their other brushes yet, but I may have to invest in some more!